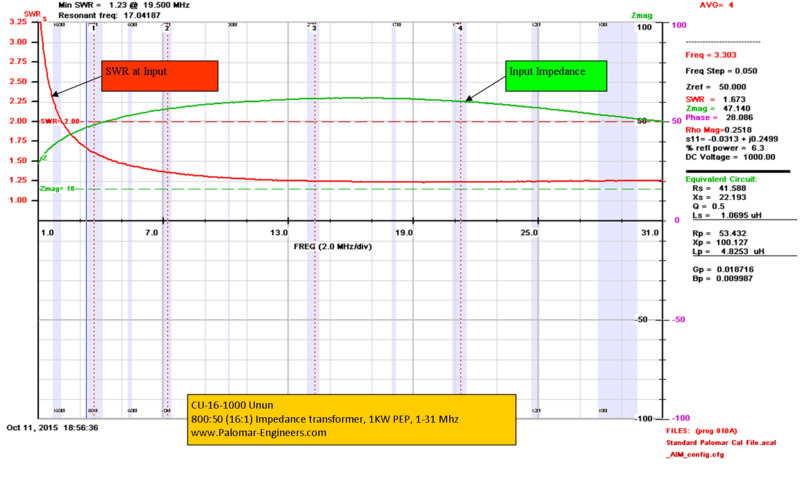 16:1 Ununs are useful between coax and long wires with a load impedance near 800 ohms like a beverage antenna. 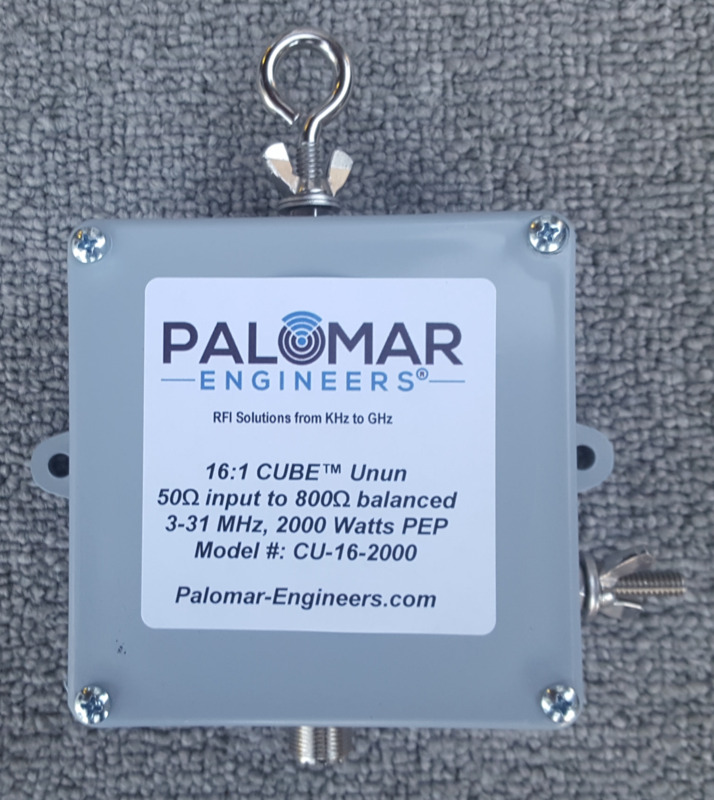 Shortwave listener antennas also can benefit with the 16:1 unun and it may provide a better match than 9:1 ununs – this means quieter noise levels and stronger signals so you can hear distance stations easier. Output is eyebolt/output on top, ground/counterpoise on side. Choose 1KW/2KW PEP power option depending on needs. Custom versions available. 16:1 also available as Balun output.